Ask any snowsport lover in Washington about this past winter season, and they’ll tell you that it was a pretty disappointing few months. 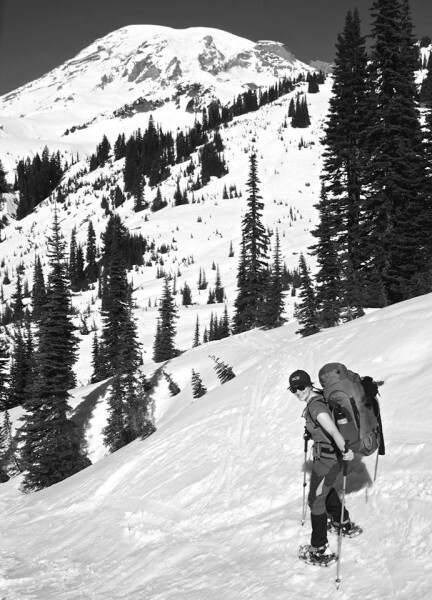 With historically low snow-levels, backcountry skiers, snowboarders and snowshoers had to really stretch to find places to play. However, for those who couldn’t live without a few weekends of powder, snow could be found – you might just have had to hike higher for it. And the season isn’t quite over yet! Even as Seattle is blessed with increasing warning signs that spring has come, there’s still snow in the mountains. In fact, it’s supposed to dump this upcoming weekend, meaning there’s still time to get out on the trails for a beautiful snowshoe hike. If you’re going to the mountains to enjoy spring snowy trails, I would highly recommend you take the L.L. Bean Women’s Trailblazer Snowshoes with you. After testing them all season long, I’ve found that they’re the perfect combination of supportive, comfortable and incredibly easy-to-use. The key to their functionality is the BOA bindings design. While most snowshoes employ some kind of clasp or buckle system, the Trailblazers uses the BOA system of steel lace compression cords “dialed in” around your boot by a mechanical reel to achieve the perfect fit. 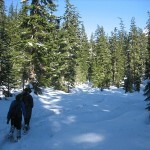 There are multiple benefits to the BOA closure system on the Trailblazers. First, the closure system attaches firmly to a variety of different boot and foot sizes. 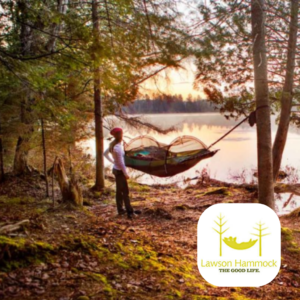 Whether I was wearing my heavy duty, GORE-TEX winter hiking boots, or my lightweight boots, I could always dial the fit to be perfectly secure. 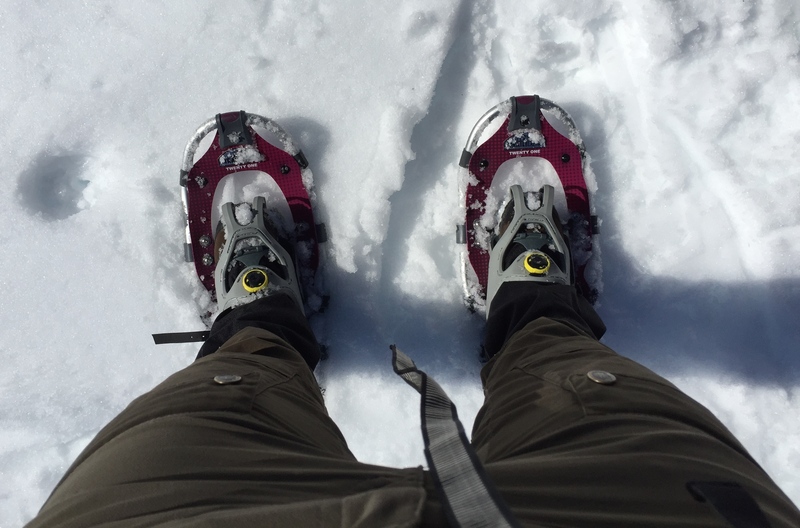 Second, the BOA bindings make these snowshoes incredibly easy to put on, even while wearing thick, winter gloves. I could put on the Trailblazers while standing, keeping my gloves on and dialing them till they fit perfectly. 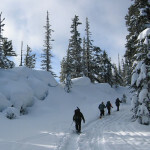 At Mount Rainier, I walked through the Paradise parking lot with a group of eight hikers to the start of the snowy Mazama Ridge trailhead – when we all stopped to put our snowshoes on, I had my snowshoes on significantly faster than anyone else in the group and watched as others had to take their packs off, take their gloves off and sit in the snow in order to get a tight fit with their traditional bindings. 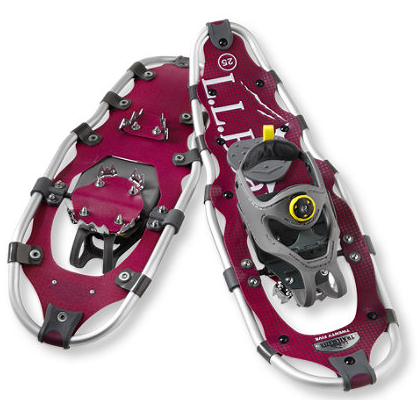 The BOA bindings maintain their tight fit throughout a day of hiking, and are durable for extended use do to the steel laces. I found the Trailblazers to be wonderfully supportive if not a little heavy. Their shape and aluminum frame felt secure and supportive even on 30-35 degree slopes, even as the Trailblazers are recommended for less aggressively inclined hikes. 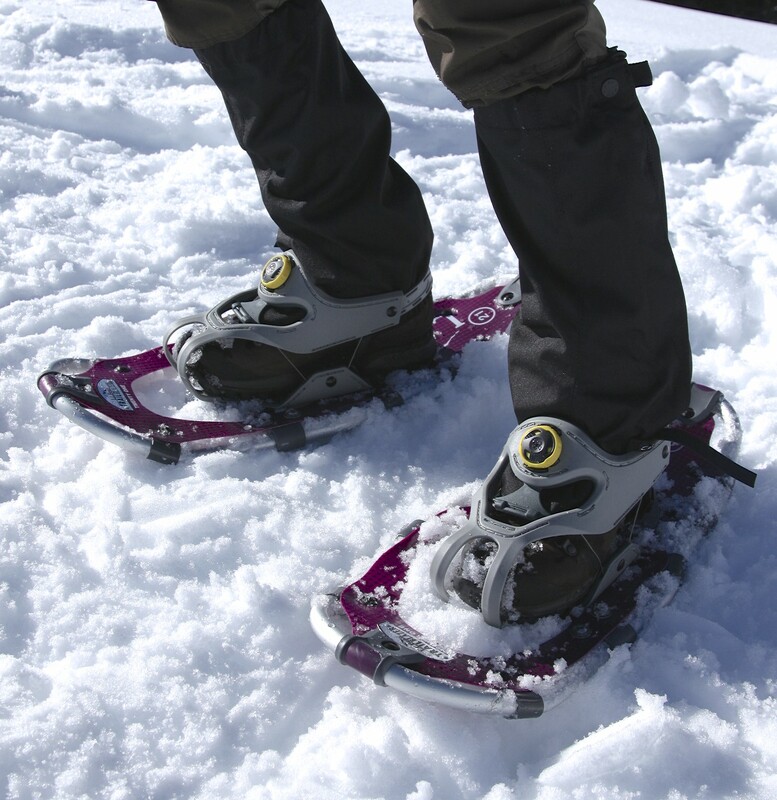 Compared to other snowshoes designed for a similar purpose, the Trailblazers do run approximately one pound on the heavy side. They didn’t seem to weight me down while on the trail, but if weight-shaving is a top-priority for you, there are lighter options on the market. The Trailblazers also provided me with excellent traction on wet, slushing, relatively steep slopes. I would definitely recommend investing in these easy-to-use snowshoes to enjoy the rest of Washington’s winter alpine season and to have when looking forward to more snow next year.